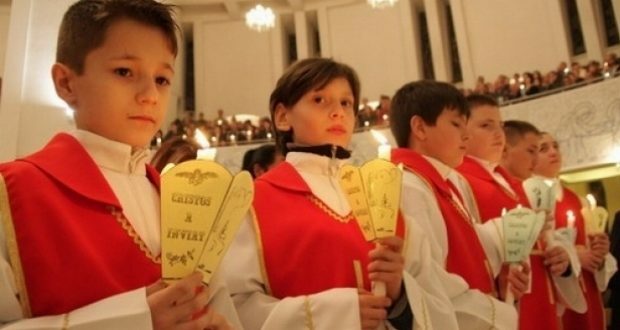 The Catholic believers in Romania celebrate Easter, with hundreds attending the ceremony of the blessing of the fire on Easter in Cluj-Napoca and Sibiu, but also in other localities with Catholic communities on Saturday evening. 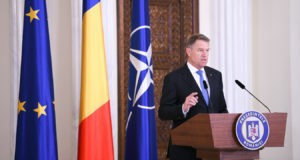 President Klaus Iohannis and his wife, Carmen, was seen among the believers attending the Resurrection service at the Roman-Catholic Church in Sibiu, which was officiated in three languages, Romanian, Hungarian and Germna, due to the high number of Magyar and Transylvanian Saxon believers living in the city. The Romanian President and his wife also attended the church service today, on the first Easter day, at the same Catholic Church in Sibiu. Iohannis and his wife have been attending the Easter services since he was mayor of Sibiu. 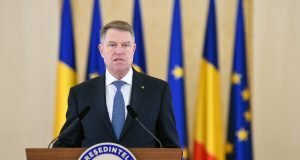 President Iohannis has also delivered a message on the occasion of the Catholic Easter and on Palm Sunday celebrated by the Orthodox believers. “To all those who celebrate Easter today, I wish them to welcome the Christ Resurrection with joy and peace of mind. Jesus Christ is risen! 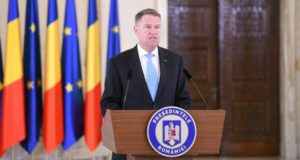 A good thought is sent to those who celebrate the Palm Sunday today, next to a warm <Happy anniversary> to those who celebrate their name day,” Klaus Iohannis posted on Facebook. PM Viorica also sent a message today for those who celebrate the Catholic Easter and the Orthodox Palm Sunday. “Today it’s a day with double meaning fro the Christians: the Catholic Easter and the Palm Sunday for the Orthodox believers. I wish to all Romanians who mark these celebrations good health, peace and to find happiness next to their family and beloved ones on this saint day!,” reads the premier’s message. One of the most common Catholic Easter traditions is to bring baskets with food at the church to be blessed by the priests on Easter day. According to this tradition that dates back in the 15th century, Catholic believers put Easter cakes, red painted eggs, bread, meat, chocolate and wine in the baskets covered with white towels. Similar to Orthodox traditions, Catholics gift away painted eggs or they tap the eggs to see which one has the strongest shell. The predominantly color for Easter eggs is red, but other colors like yellow, green or blue are also used. The most famous Catholic Easter tradition in our country is spraying, a habit that comes from Germany. First, spraying was made with water, but nowadays they use perfume; water sprinkle symbolizes purification. The custom originated in pre-Christian period is the symbol of life and fertility, and was practiced by several Germanic peoples. In Transylvania, spraying was made even in noblemen’ families up to the end of 19th century, after which tradition was kept only in rural areas. For spraying, nowadays people use perfume instead of water. The tradition is that boys go to girls’ homes where they ask their parents for permission to ‘wet’ the girls, while they say a poem: I was in a green forest; I saw a violet blue, standing to fade. Do I have permission to spray it? Young men are rewarded with red eggs, wine and cakes. In Mures, the third Easter day, after women are sprayed, the tradition tells that boys, too get to be sprinkled. They only get away if the weather is too cold. Easter sprinkle custom was brought to Transylvania during the middle Ages by Saxons from Sibiu County. Orthodox Christians are celebrating the Palm Sunday today, marking the triumphal entrance of Jesus Christ in Jerusalem, where he was greeted by believers holding olive branches. The feast of Palm Sunday is one of the most important of the year and opens the Easter holidays. Today, more than 1.3 million Romanians celebrate their name, most of them having the names Florin, Viorica and Florentina. The flowers open the Easter celebrations, which ends with the Ascension of the Lord. Palm Sunday, Floriile in Romanian, is a Christian feast with no exact date, always celebrated on the last Sunday before Easter. Palm Sunday opens the week for Easter preparations, the so-called Holy Week, after the 40 days of fasting. On that Sunday Christian can eat fish, being the second dispensation of Lent, after the one from the Annunciation (Buna Vestire). On this special Sunday, people who go to church in Romania return home with blessed willow branches and hang them on the doors or gates or on icons in the house. Some say that who wears the willow branches as a belt will not suffer of loin aches or who eats three catkins will not have throat aches all year long. They believe that it’s bad luck to give up these willow branches until the next year. People put them on fruit trees to help believing this will make trees fruit. Therefore, they plant trees before Palm Sunday so that they will not remain fruitless. Willow branches from Palm Sunday are considered symbols of fertility and spring vegetation. Some beekeepers decorate their hives with sanctified willow branches. Thus they believe that bees will be more diligent and make more honey. The elders say that if it’s sunny on Palm Sunday, Easter will be as sunny. And if you hear the frogs singing until Palm Sunday, that summer will be nice and warm, but full of rain and abundant.